The purpose of a resolution to the Communist Party National Convention is to help improve the work of the Party. Any collective or member may submit a resolution. A resolution should have a clear constructive purpose and be action-oriented. For example, it might highlight significant areas of work, call attention to new and emerging issues and struggles, and so on. A resolution should be concise and contain a clear “resolved” statement. 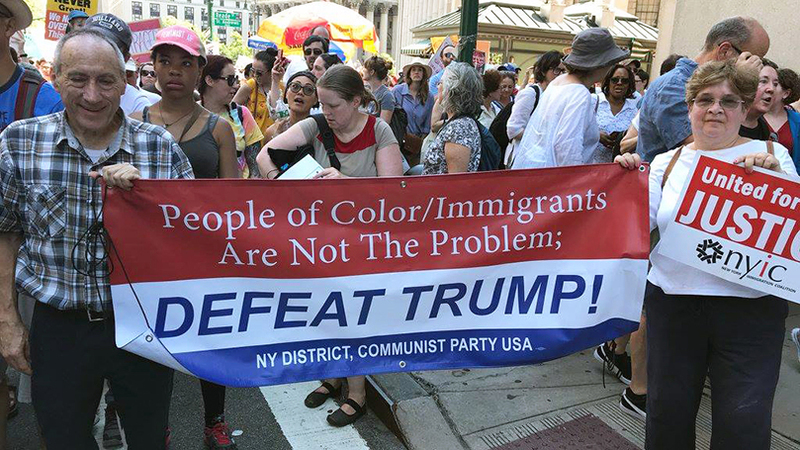 All resolutions should be submitted by email to the Convention Resolutions Committee at resolutions2019@cpusa.org. Resolutions will be posted at cpusa.org. The deadline for receipt of resolutions is 5 pm eastern on May 26, 2019. Proposed amendments, except those proposed by the Resolutions Committee, must be received in writing by 5 pm eastern on June 1. The Convention Resolutions Committee was established by the National Committee as a working subcommittee of the Convention Preparations Committee. The Resolutions Committee will review all resolutions submitted in a timely fashion and make a resolutions report to the convention. The report may combine similar or related resolutions into a single one, may recommend some for adoption, modification or rejection by the convention, and may refer others to the incoming National Committee for action, as appropriate. The committee’s recommendations will be voted on by the convention.